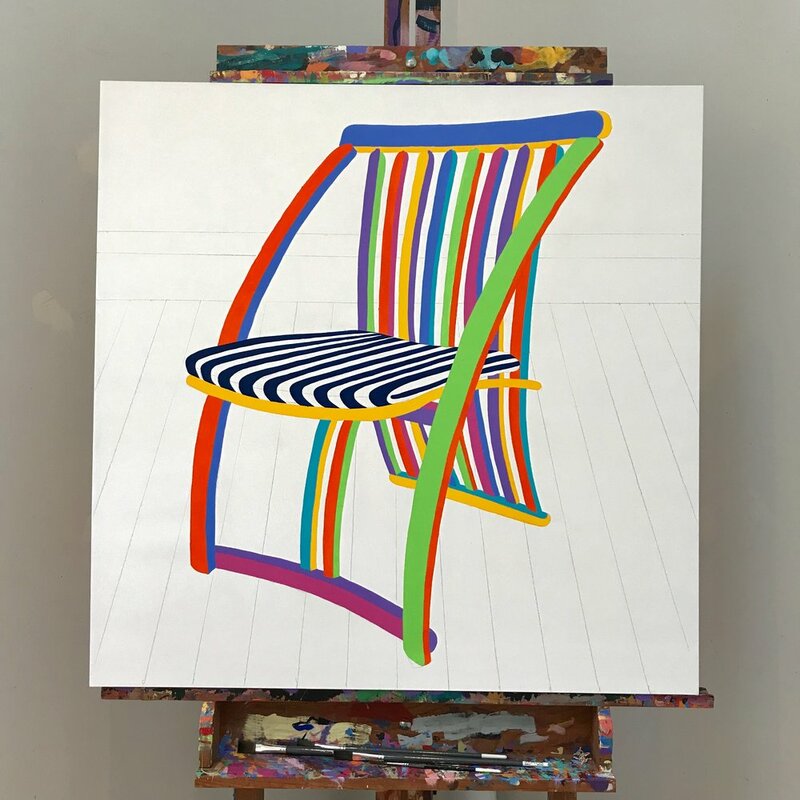 Andrew is happy to announce that his painting "Thomas Lamb Steamer Chair" is to be included in the 8th annual UPwithART auction & art party, at Museum London (London, Ontario), in support of the Unity Project for Relief of Homelessness. The event takes place on April 27 at 6:00 p.m., tickets are $50 in advance / $60 at the door. There will be music, performance and media arts, winescape mystery art, raffle and door prizes, and delectable fun foods; a little something for everyone! A wonderful celebration of Canadian, local, Forest City art and fundraising. Not able to make it to the event? You can still make advance bids! See the process! This is the chair Andrew based the painting on in his Wortley Village studio (with special guest Miss Winnie)! 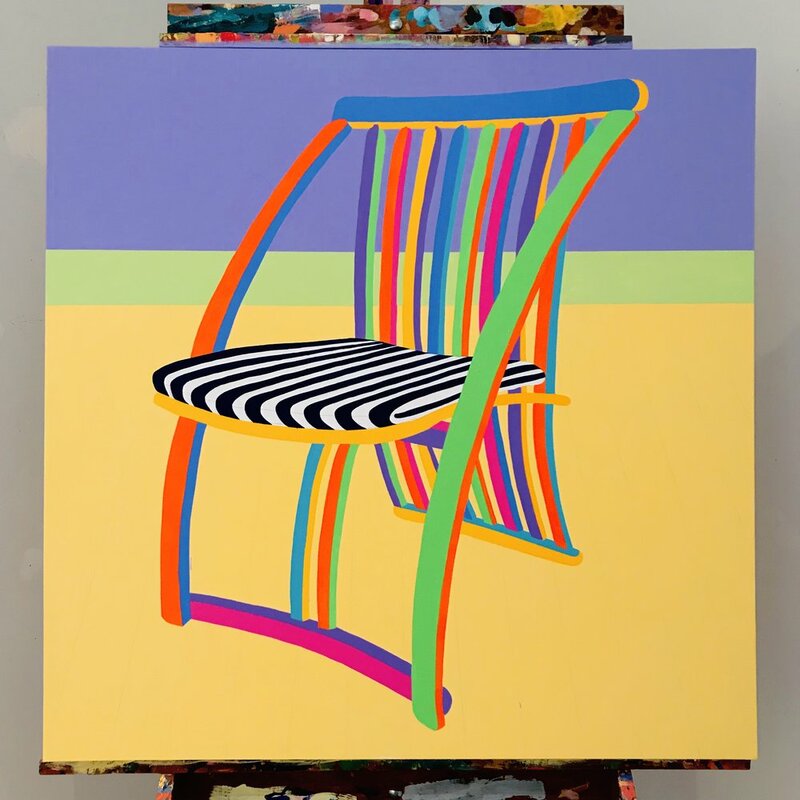 The finished piece: "Thomas Lamb Steamer Chair"
An amazing work of dynamic line, shape, colour and perspective.